6742 PoweRated V-Belt (3L420K). Kevlar (Aramid) reinforced construction. 3/8" W x 42" Length OC. 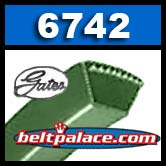 Gates Product ID: 84236742. 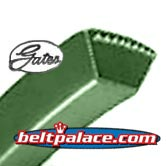 Metric M43 V-Belts for Power Tools.